Occasionally a book finds it way to your hand that seems as if the author had you in mind personally when he wrote it. This one’s for you, Ron. It is as though his mind is communicating directly with yours over perhaps centuries. A couple two or three decades ago one such work that came to my hand was The Secret Memoirs Of The Duc De Roquelaure. I never would have bought it myself, never even suspected its existence, but it came in a bundle of books I bid on at auction containing another book I wanted. I had the four volumes of the Duc’s life so I read them. The memoirs were ‘Written by himself now for the first time completely translated into English in four volumes.’ Thus in 1896-97 an intermediary on the same wave length as the Duc and myself provided the means for me to read the Duc’s mind. Believe it or not the edition was limited to 1000 copies, privately printed of which 500 were for England and 500 for America. Mine is number 424 of the English set. There could have been few who had ever read the Duc and I may very well be the only man alive at the present to have shared the Duc’s thoughts. Truly I believed he was speaking directly to me over the 400 intervening years. I had the same feeling when I read George Du Maurier’s three volumes published from 1891 to 1897. Curious that the Duc de Roquelaure should have been translated in 1896-97 isn’t it? 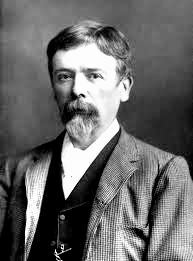 Like the Duc George Du Maurier seemed to speak out to me over more than a hundred years to communicate directly with my mind. I probably never would have sought out his books except for my Edgar Rice Burroughs studies. I wanted to check out whether there may have been a connection to Burroughs through the second of the novels- Trilby. Then browsing the store I came across a Modern Library 1929 edition of the first of Du Maurier’s efforts- Peter Ibbetson. At that point, I thought, I might as well get the third- The Martian- which I did. This time over the internet. I have now read each title three times as is my habit if I’m going to review a book. Before moving on to the novels it might be appropriate to say a few words about Du Maurier who may be an unfamiliar name to the reader although he or she may be familiar with the name of his very famous creation, the hypnotist and musician Svengali of the Trilby novel. Du Maurier was born in 1834 and died in 1896 so he was ideally situated to view the whole Victorian era. Indeed, in his own way he was a symbol of it. As a most famous illustrator of books and an artist satirizing the era for the humorous magazine Punch, he in many ways interpreted English society for itself for nearly fifty years. He died of heart disease so when he turned to writing to begin what is his virtual literary epitaph in 1891 it may have been with the premonition of his imminent death. He sensed that it was time for a summing up of the life he loved so well. Heart ailments figure prominently in his work. Indeed he died of a heart attack just after finishing The Martian which began publication shortly after his death. 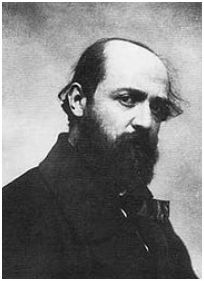 Thus while portraying the scenes of his life in Punch and other magazines and books he summarized his life and times magnificently in his three novels. They are magnificent works. As every man should Du Maurier loved his life and it was a life worth living. The novels are wonderful examinations of exotic altered states of consciousness. 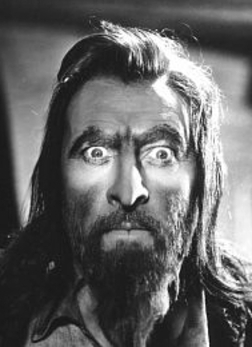 In Peter Ibbetson the protagonist is insane, committed to Colney Hatch or some such. At night in his dreams he finds a way to link his dream with the dream of a married woman on the outside. She and his dreams meld into one dream in which they live actual alternate dream lives that are as real as their daytime existences. This went on for a couple decades or more until the lady died. Very eerie. In Trilby in a love contest between the protagonist Billy and the musician Svengali for the hand of Trilby Billy is denied his love for societal reasons while after a sequence of events Trilby falls into the clutches of Svengali who through hypnotism turns her into a Diva. After his denial Billy becomes temporarily deranged falling into a deep depression which then turns into an equally severe melancholia when he emerges from the mania. So once again we have a description of two altered states of consciousness. In the third and last novel the protagonist is possessed by an alien intelligence named Martia from Mars. Over the last century she has inhabited thousands of people but only with the hero, Barty Josselin, has she been able to establish contact. In an absolutely astonishing twist she occupies the body of Barty’s daughter. Both Barty and the daughter die enabling Martia to unite pshysically, in the spirit world, with her love. Thus the father and daughter are united which I suppose is the dream of many a father and daughter. The effect on the reader, this one anyway, is ethereal and eerie. Du Maurier injects real life figures into his fiction. The real personalities of the day lend credibility to the fiction. Du Maurier involves himself in the stories in ingenious ways. While one can’t definitely say that Burroughs learned to inject himself into his stories from Du Maurier yet the framing devices in which Burroughs plays himself are very reminiscent of Du Maurier. For instance in the Martian the story is a biography of Barty Josselin told by his friend Robert Maurice who then asks George Du Maurier the famous Punch illustrator to illustrate and edit his book. So the biography is ostensibly told in the first person by the fictional Robert Maurice while it is illustrated by the real life George Du Maurier who posing as the editor is actually writing the book. Du Maurier even inserts a long letter of acceptance in which he recapitulates his memories of Barty. When one realized this the effect is almost supernatural, especially as with a little background on Du Maurier one realizes that the histories of the protagonists are virtually fictionalized histories of Du Maurier himself. Thus while I haven’t discovered a direct connection to Du Maurier ERB is always telling a fictionalized account of his mental states along with a virtual chronicle of his life. A few points in ERB’s The Eternal Lover bear a very close resemblance to the love themes of Du Maurier especially in Peter Ibbetson and The Martian. The Martian itself may have been a major influence on Burroughs’ own Martian novels. When John Carter, who was always attracted to Mars,stands naked on a cliff face in Arizona with his arms outstretched toward the Warrior Planet the scene is very reminiscent of Barty Josselin leaning with out stretched arms from his window staring at Mars and imploring Martia for her assistance. Carter is magically transported to Mars in some unexplained way that may have been no more than an altered state of consciousness much as in the same way Martia inhabited Barty’s mind and body. Once on Mars Carter finds his lady love, Dejah Thoris, in a manner reminiscent of Barty and Martia. Obviously other literary influences abound in ERB’s Martian series but at the core very probably is Du Maurier’s story of Martia and Barty. By 1911 the influence was coming from ERB’s subconscious and he may not have been aware of the resource he was drawing on. The question is when did Burroughs read, as I believe he did, the three Du Maurier novels? As ERB’s first novel, A Princess Of Mars, had to be built on the Martian it follows that ERB read Du Maurier before 1911. Du Maurier wrote from 1891 to 1896. His novels were serialized in Harper’s Magazine in the US either before or at publication so Burroughs had the opportunity to read them in magazine format as well as the books. Of the three novels, Trilby was an absolute smash being one of the biggest sellers of the nineteenth century. The sensational story of Trilby and Svengali that everyone concentrated on would certainly have brought Du Maurier to ERB’s attention. At the time his own life was in turmoil. At the time Trilby was published ERB was in the process of leaving the Michigan Military Academy at which he was employed for what he thought was a career in the Army. Once at his assignment, Fort Grant in Arizona, he would likely have had the odd idle moment to either read the magazine installments or the book. As Carter’s transfer to Mars takes place in Arizona there is an association with ERB’s army days and Du Maurier’s The Martian. Not proof positive, of course, but not impossible or improbable either. He must then have read the last volume in Idaho when he owned his stationery store there in 1898 and could obtain any book or magazine he wanted, either English or American. So these wonderful other worldly stories of Du Maurier gestated in his mind for twelve or thirteen years before emerging from his forehead beginning in 1911. I will now review the novels in detail. These are spectacular, wonderful stories. First the middle volume- Trilby- then the last of Du Maurier’s works- The Martian- followed by the first, Peter Ibbetson. The review of Trilby is Part II, call that up.